Hanaro stands for trust and reliability. The satisfaction of our customers, business contacts and employees is paramount to us. We are professionally organized and customer-oriented, focusing on service time and quality and providing excellent service. To be the best under all circumstances involves good partnerships. 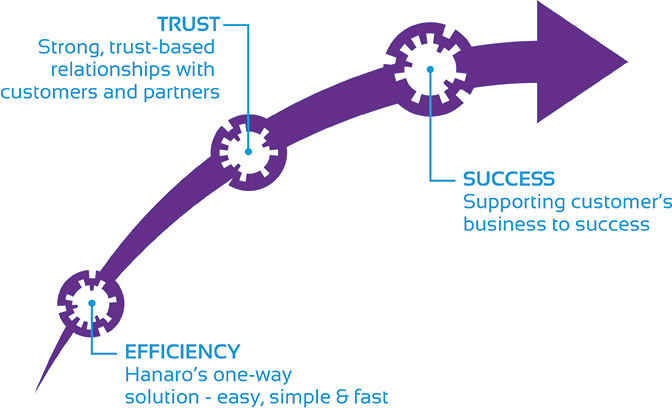 Knowing our customers and partners, listening to their requirements and understanding their business allows Hanaro to offer tailor-made logistical solutions. Hanaro’s employees are our greatest asset. They are able to deliver operational excellence and quality customer service. In-house training and building up experience enables everyone to develop their knowledge and increase their expertise in order to deliver the specific logistical solutions you require.